Matching leg warmers to keep cozy at cold days! Secure snap closure, easy to change diapers. Material:Cotton/nylon.soft and comfortable to wear. Long sleeve Design ,suit for spring ,autumn,summer and winter ,Snap closure conveniently for changing baby’s diaper. Perfect for Christmas, birthday party, photos, holiday or daily wear. 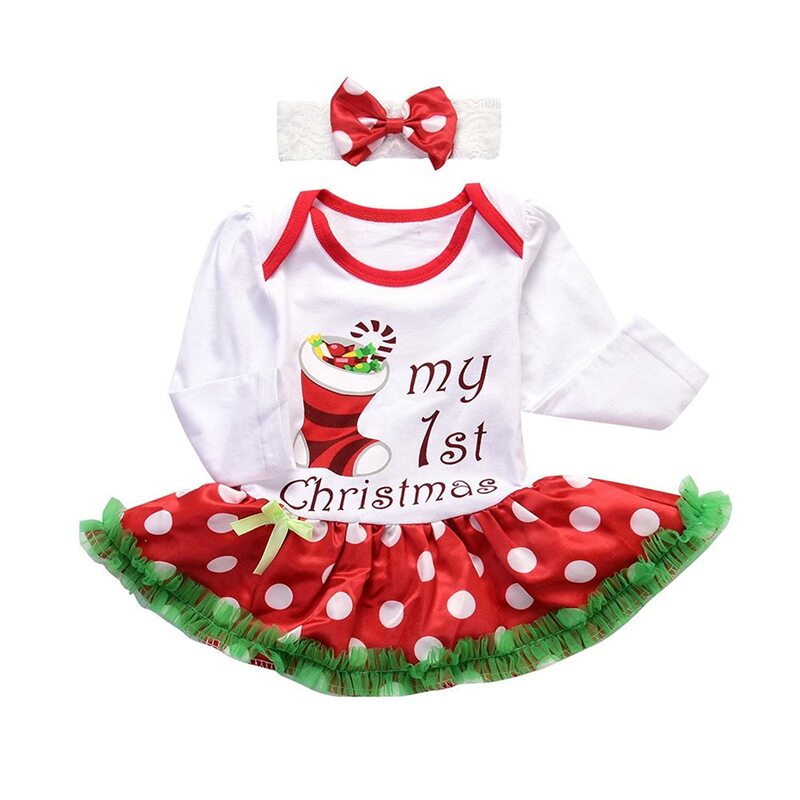 So cute design,best gift for your baby in christmas party . 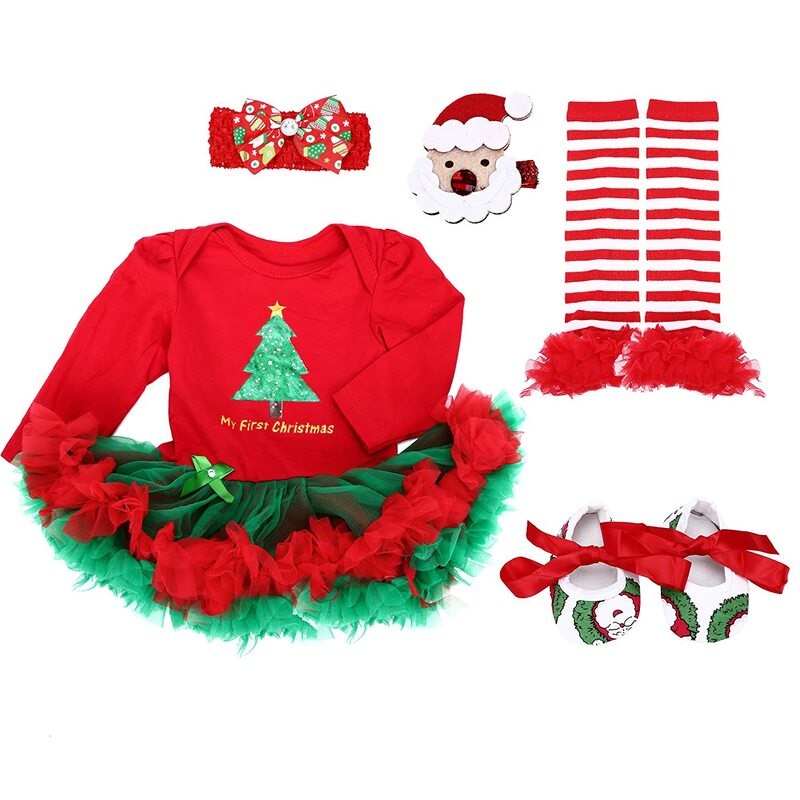 Cute dress and a matching headband ,shoes,leg warmer.Wear them to warm up those little legs .The headband is perfect to match with the dress. Long sleeve,Snap closure conveniently positioned for ease in changing baby’s diaper. 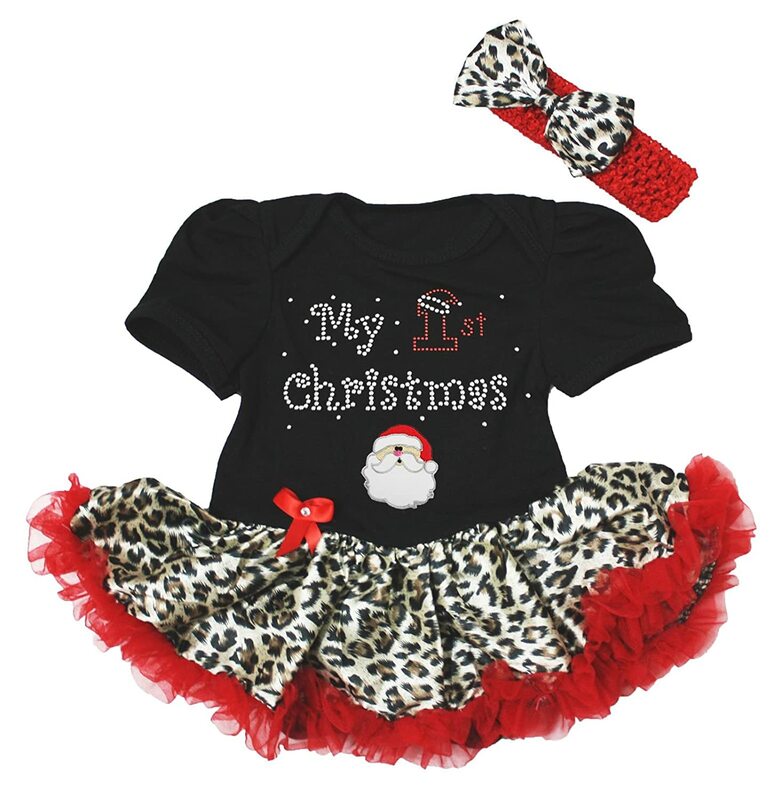 Package include: 1pc dress, 1Pair leg warmer, 1pc headband,1Pair shoes. 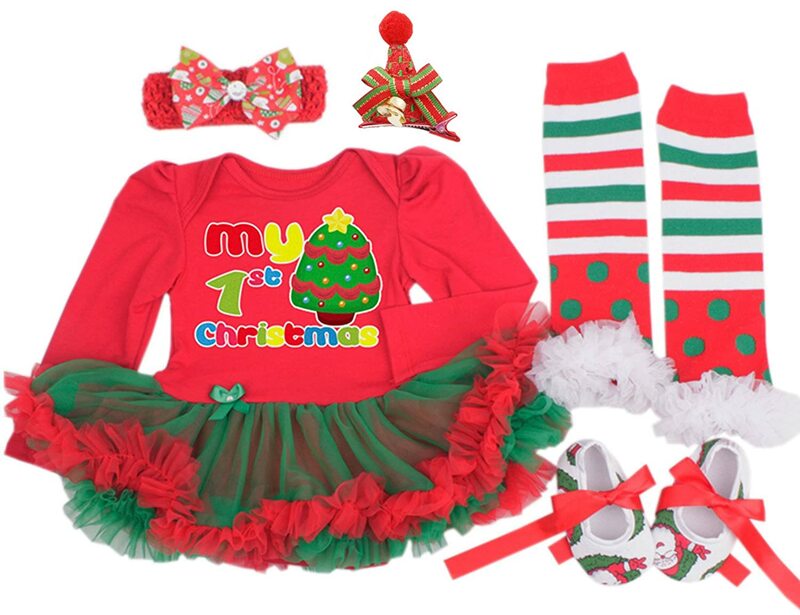 Package include: 1pc dress, 1pair shoes, 1pair warm leggings, 1pc headband, 1pc hairpin. 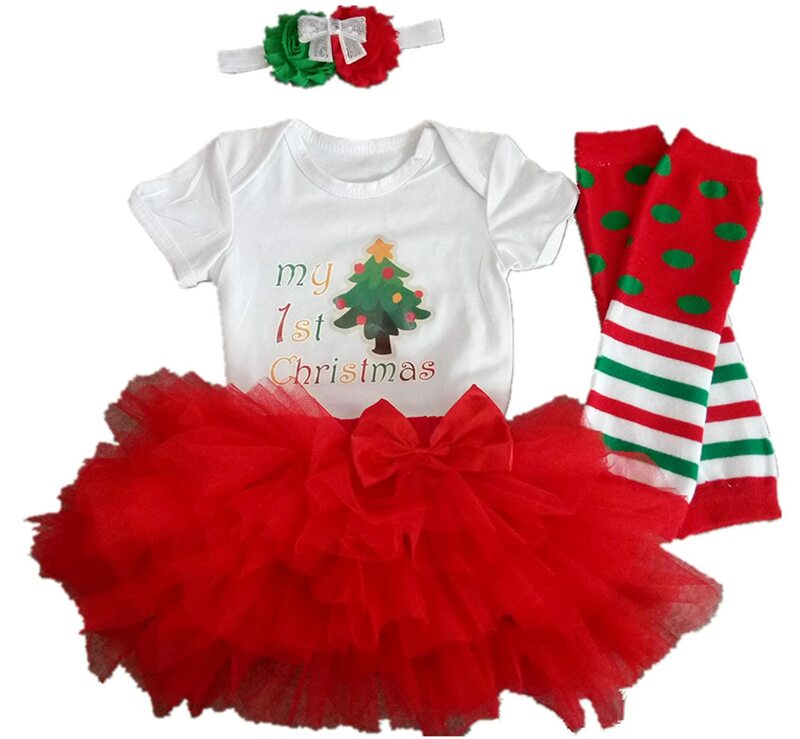 Super adorable clothing set for christmas parties, photography prop, Give her a memorable first christmas day! *MADE TO ORDER: Please allow for orders to be processed within 1-3 days.We have been designing and making baby headbands,bloomers,bodysuits,shoes,pearl bracelets,handmade newborn photo props and many adorable accessories for girls for 5 years.ITEMS ARE HANDMADE.It means, we accept special requests for sizing and colour and something you want to change. Please let me know if you have any requests,In most case I can meet your needs. Professionally printed with the best glitter available. Very durable to be worn, washed, over and over again. 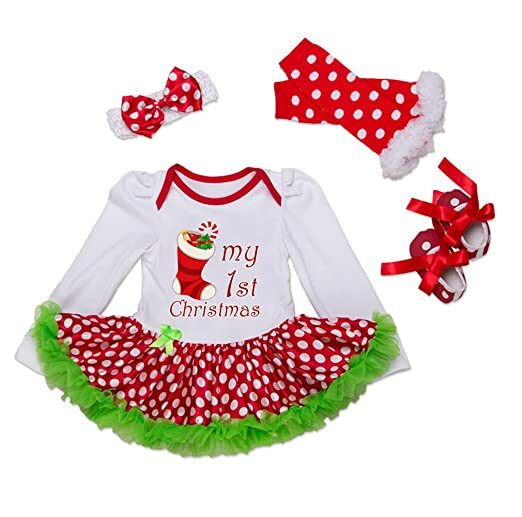 Baby Girl Christmas Outfit. We use a premium bodysuit that is extremely soft and loose fitting. Our bodysuits and glitter vinyl is CPSIA CERTIFIED. Our glitter will not flake, peel or rub off. 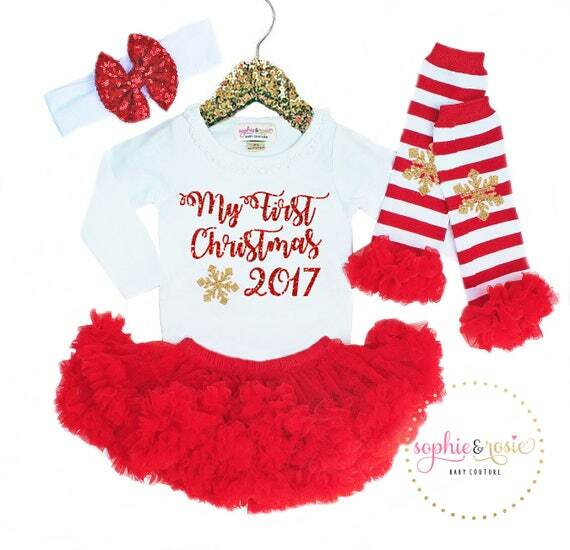 This “My First Christmas 2017” set is a perfect choice for your little girl to wear for her 1st Christmas. 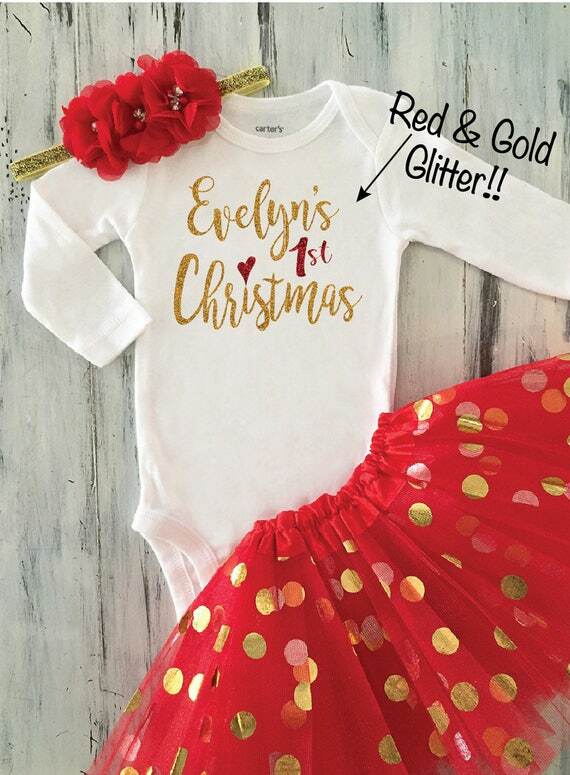 The design is made from beautiful red and gold glitter on a long sleeve or short sleeve white bodysuit. The matching petti bloomers (pettiskirt with attached bloomers underneath) is super fluffy and made from layers of red chiffon. The length is short (fits like bloomers). 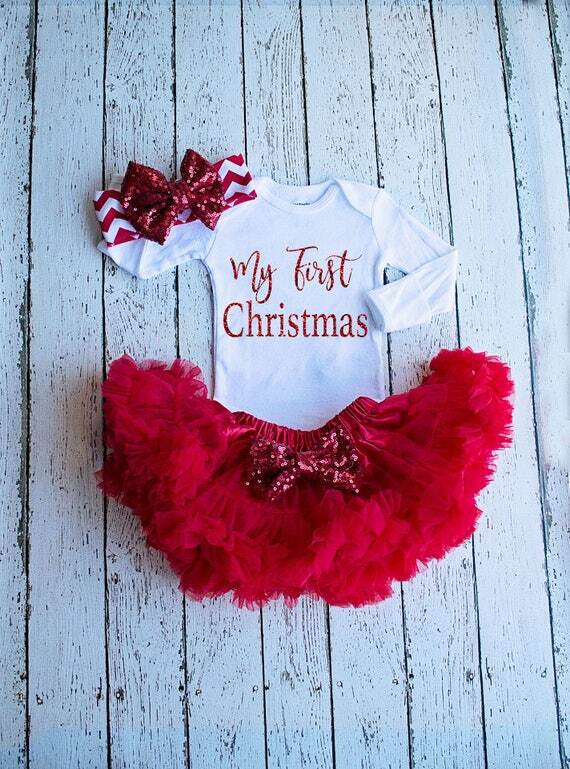 The perfect outfit for your little princess this Christmas. Everything is handmade. High quality fabric and Carter’s onesies are used. 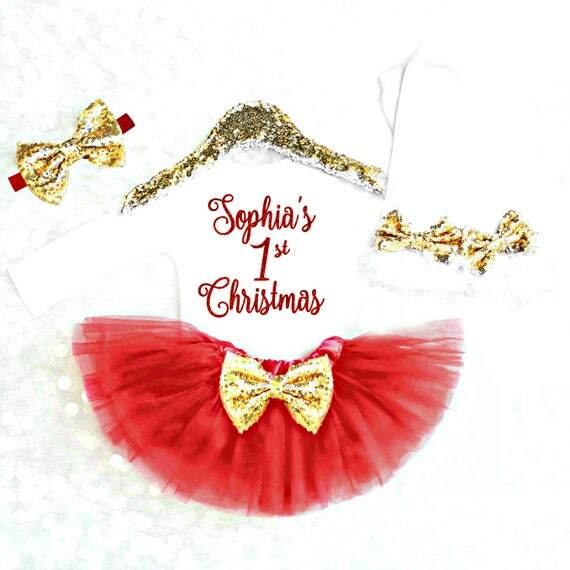 You are purchasing a customizable onesie, shabby chic tutu and beautiful headband with gorgeous rhinestone center. Wording can be customized on onesie. Please message me with 24 hours of purchase if you would like babies name or other wording included. Otherwise onesie will be shipped as shown. Also the onesie is available in short or long sleeve. Feel free to include in the note to seller if you would like a short sleeve onesie, otherwise will be shipped long sleeve as shown. Wash onesie inside out to ensure design stays crisp looking. Hand wash tutu. 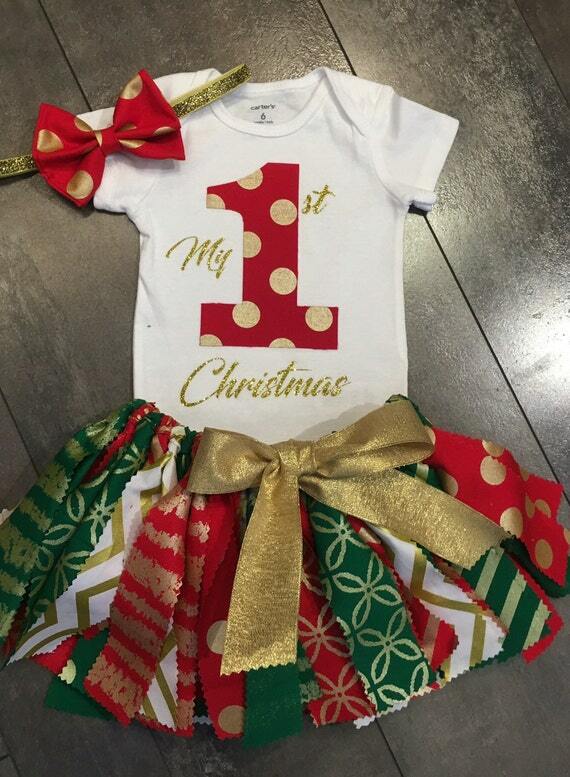 The most adorable First Christmas Outfit ever! 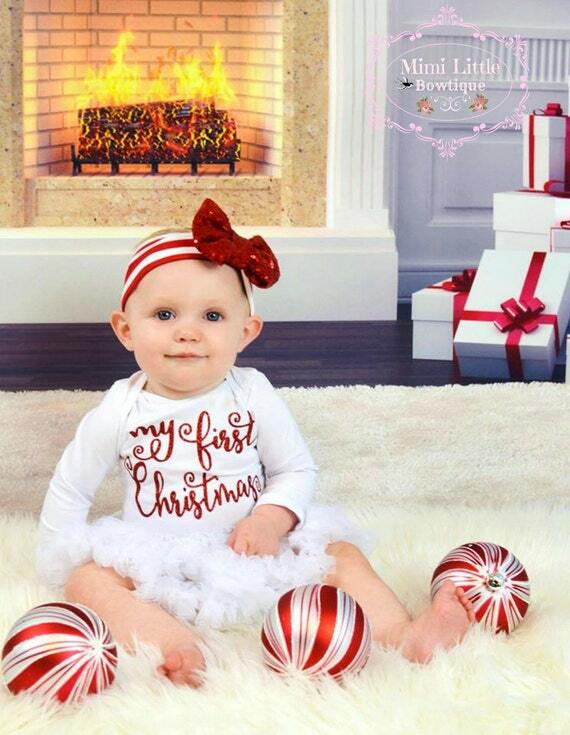 Let her be the center of attention at all your holiday festivities in this Kennedy Claire Christmas Outfit! Comes with free personalization! – Bodysuit is printed with high quality glitter that does not shed or fade. 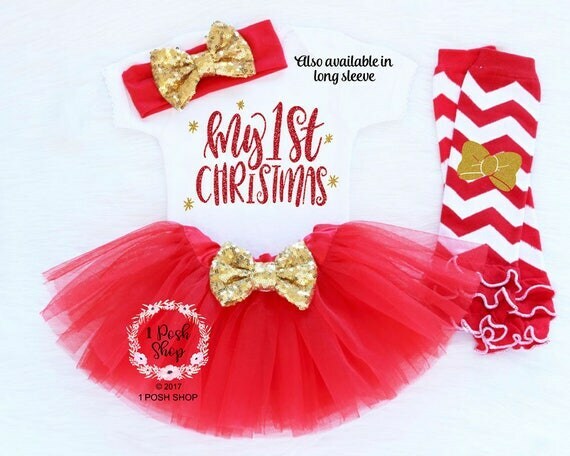 – Red sequins bow headband made to match the outfit. 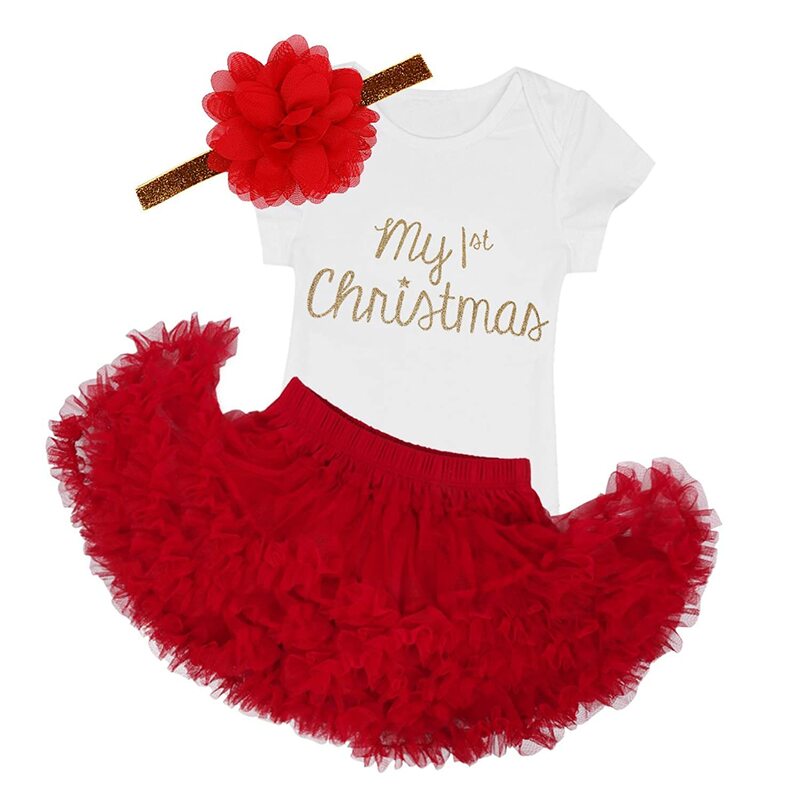 – Soft and fluffy red skirt embellished with a matching red bow. 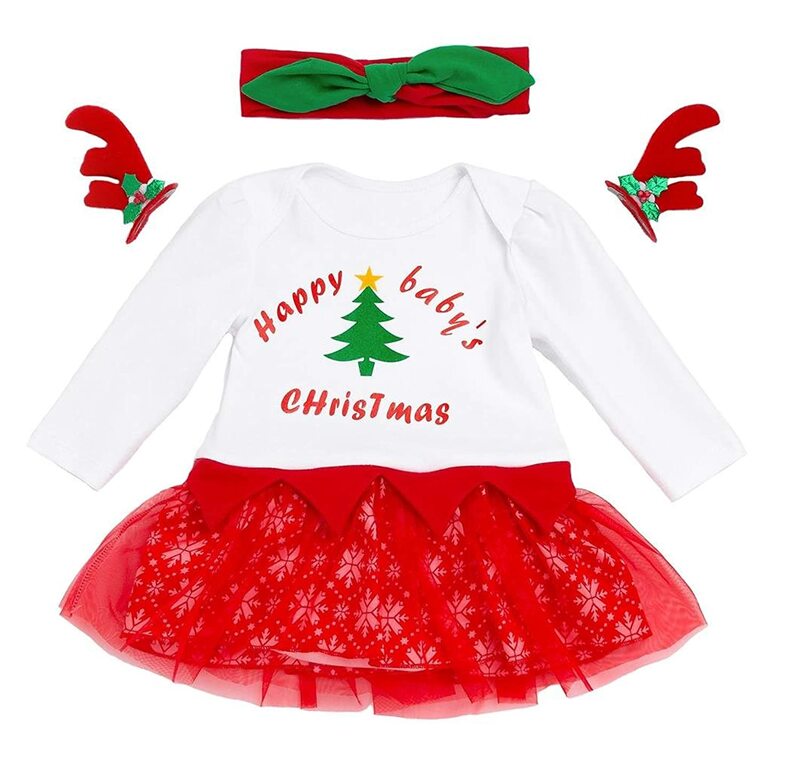 Absolutely GORGEOUS Christmas outfit for only the most stylish baby girls. 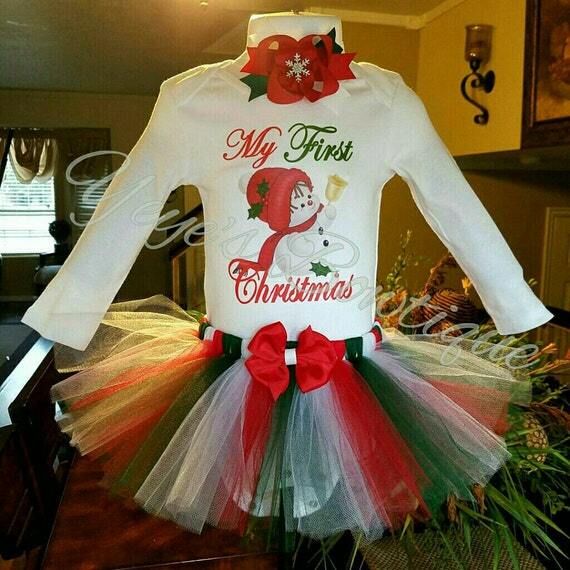 This STUNNING outfit will have your girl winning the “Best Dressed” award at any Christmas gathering! 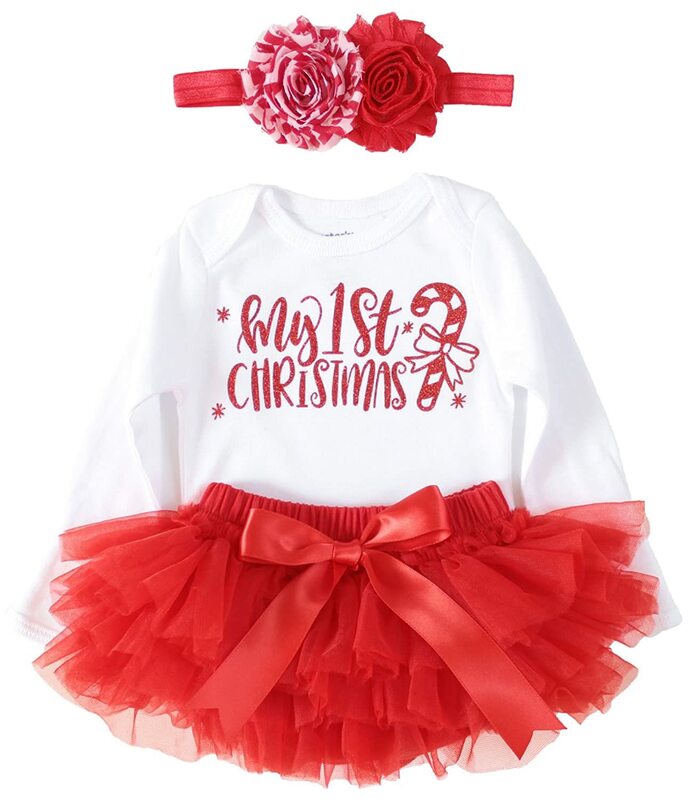 Ring in the Holidays in style and let her be the princess of the ball in this ChristiCreations outfit. 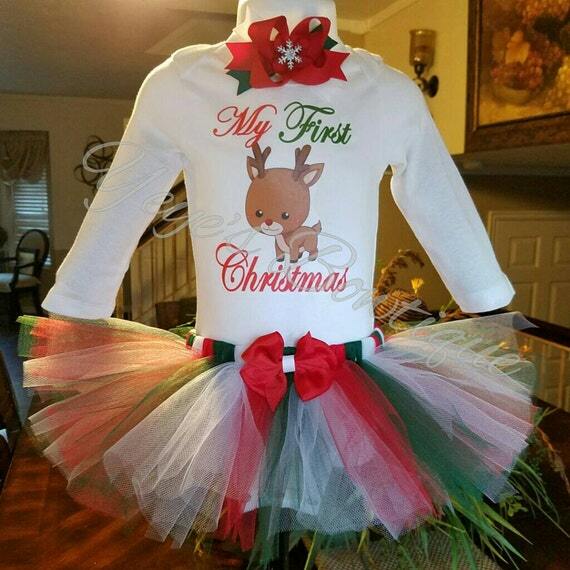 Perfect for Christmas photos or lounging around! 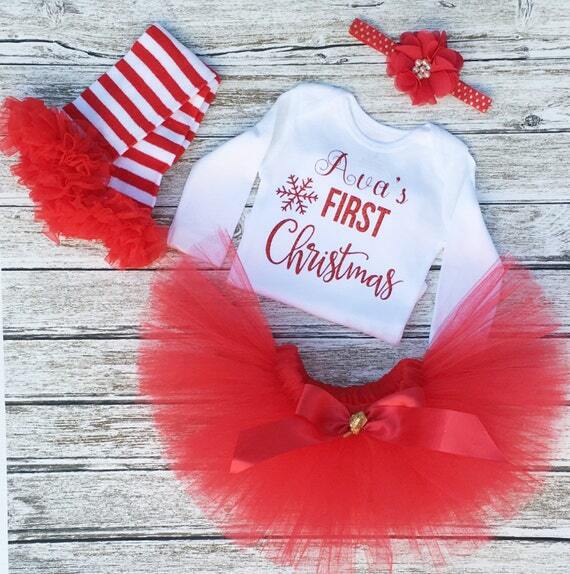 Complete the set with a matching tutu or red bloomers! Message me if interested in the bloomers! 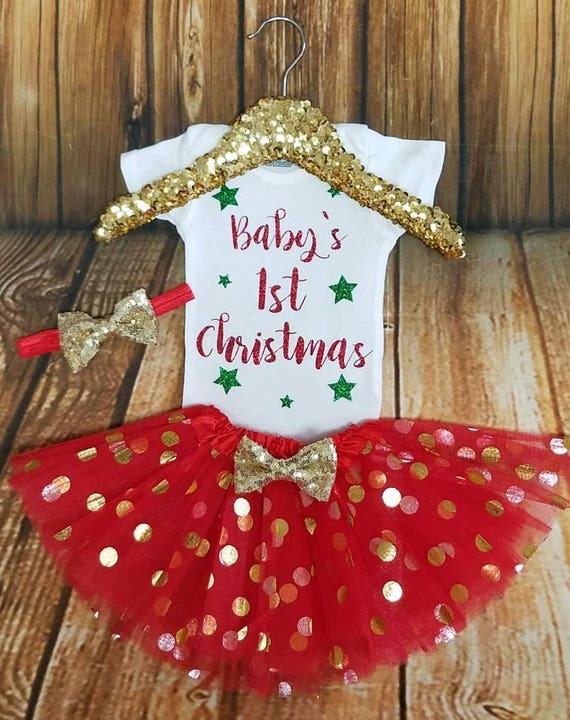 This listing includes a bodysuit with a red and gold polka dot fabric one ( your choice of sleeve length) and a matching fabric red and gold polka dot bow! Processing time is generally one to two weeks for the entire outfit! Everything is handmade and I take special care in every set I make so I can only make so many! 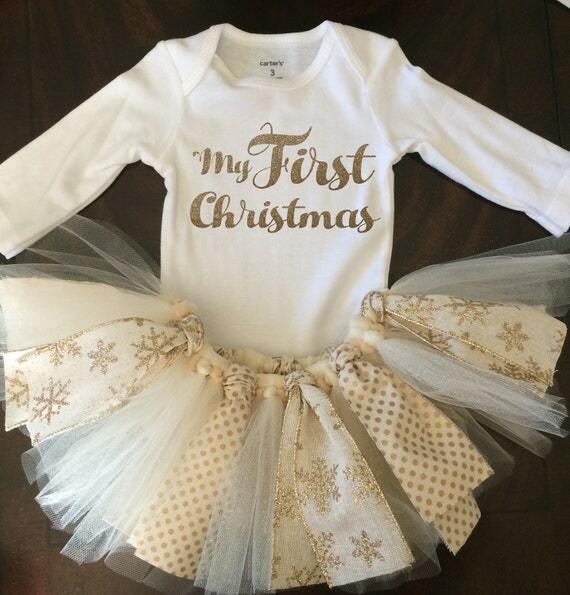 Please don’t miss out, I’m only going to be making a minimal amount of these tutus! 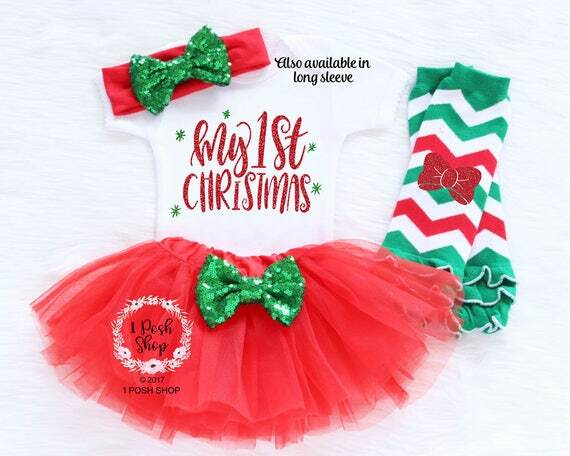 This My 1st Christmas Tutu Set is made using Christmas Red and Green Tulle, and accented with a Red and Green Ribbon. 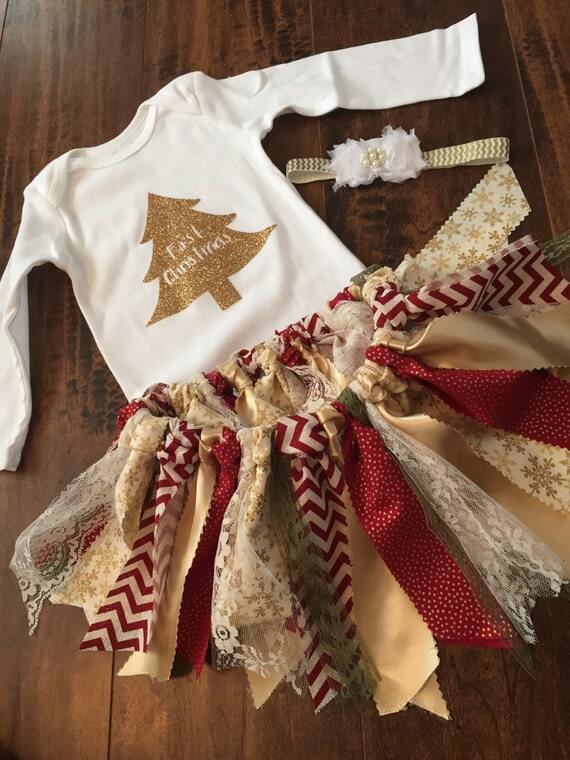 This adorable holiday outfit is perfect for pictures and parties!